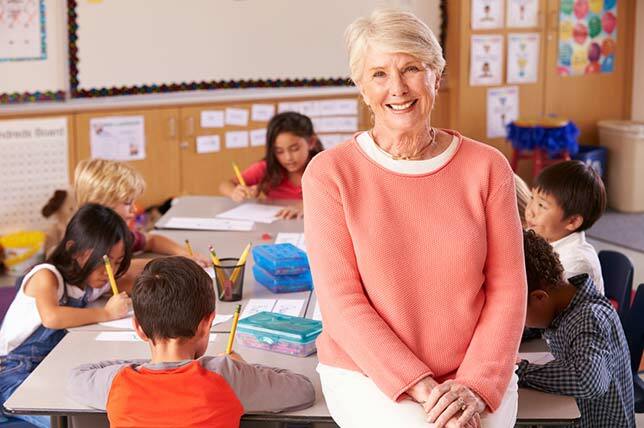 The typical Pre-K–8 principal currently is 50 years old, female and white. The average tenure is 11 years, with 22 total years of experience in education. She's virtually guaranteed to hold a master's degree or higher and is most likely in charge of a single school. She works an average of 61 hours each week, up from 44 hours in 1928. Her average salary is $96,271, and she's likely to have a contract of only a single year, down from two or more years in 2008. She's feeling less love from parents and a decreased level of parent involvement. Her major concerns include an increase in the numbers of students with emotional problems, student mental health issues, students not performing to their levels of potential and figuring out how to provide a continuum of services for students who are at risk. Every 10 years the National Association of Elementary School Principals (NAESP) performs a survey of Pre-K-8 principals to understand their challenges, the students they serve and the conditions under which they work. Since 1928, when the results were first reported, the organization has done 10 surveys. The latest one, developed with the help of the University Council for Educational Administration (UCEA), identified numerous areas of professional development need: improvement of student and staff performance, the understanding and application of technology, time management, the effective use of social media and better school improvement planning. The last survey in 2008 took stock of principals' reactions to the 2002 law, No Child Left Behind. That was replaced by the Every Student Succeeds Act in 2015. Under ESSA, according to the latest survey, respondents expected to experience "less impact" than with NCLB on their roles as principal or on their schools. Also, most predicted that the new law would have a "positive influence," especially on the attention paid to the needs — including social-emotional needs — of all students, including English language learners. They also saw potential in ESSA's greater emphasis on the use of the use of assessment data to drive instruction. Alternatively, survey participants also said they believe ESSA could have a "negative impact" on the amount of pressure staff feel "due to accountability pressures," educator morale and focus on non-tested subject areas. While more than half of respondents (56 percent) said they had participated in online development programs, they also pointed to practical experience gained as an administrator and teacher as the most valuable influences on their success. Interestingly, women were likely to rate their online experience as "highly positive" compared to men (64 percent vs. 48.5 percent). The area where they'd like to get more professional development was improving student performance, cited as at least a "moderate need" by 71 percent of people. In 2008, the top area for PD was understanding and applying technology, which this time around rated as a high or moderate need area by 51 percent. The survey results were compiled from 893 respondents, primarily NAESP members. The full report is openly available on the NAESP website.